When a wedding planner is getting married, we really expect to see something special, and this wedding is exactly like this. 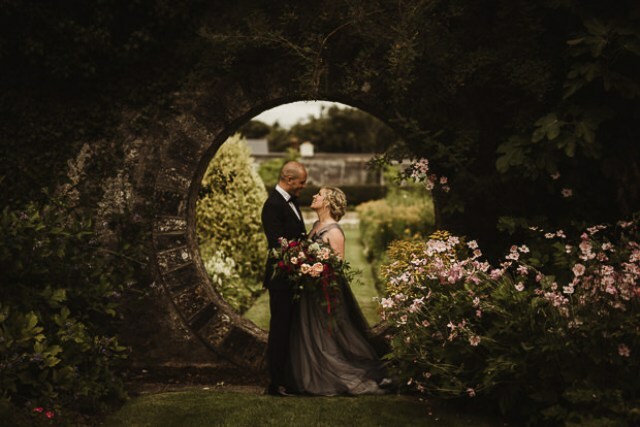 Rayna & Joe’s gorgeous Irish wedding at Mount Juliet has many points to surprise and excite you. 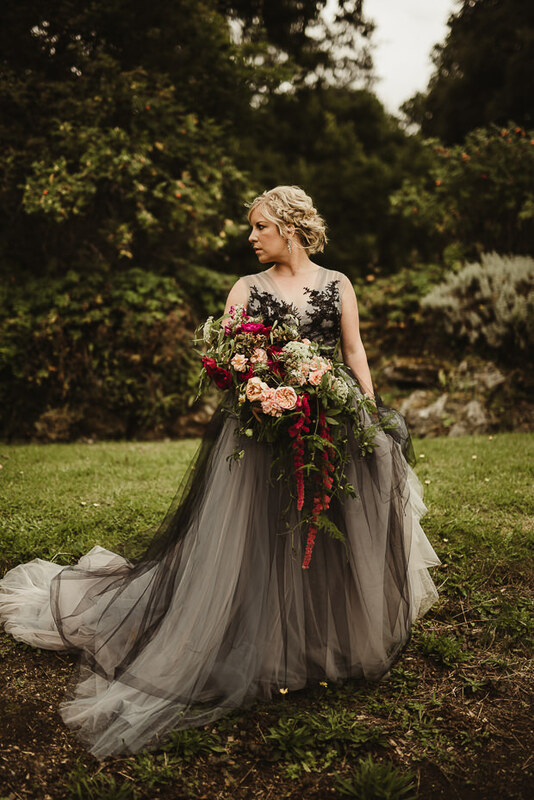 The bride was wearing a layered tulle wedding gown with a black sheer top on it, with black lace appliques on the bodice. She was rocking a braided updo and statement earrings. The groom was wearing a black tuxedo. 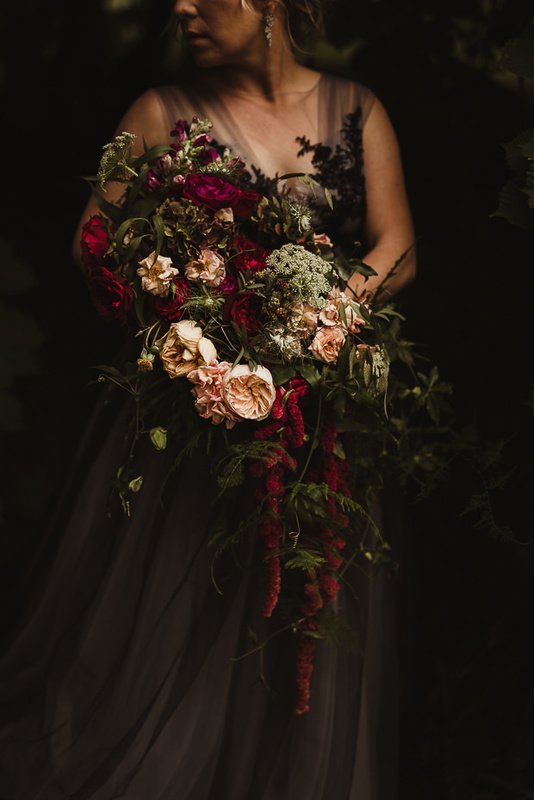 The bride was carrying a beautiful cascading wedding bouquet with fuchsia, blush blooms and a lot of greenery. 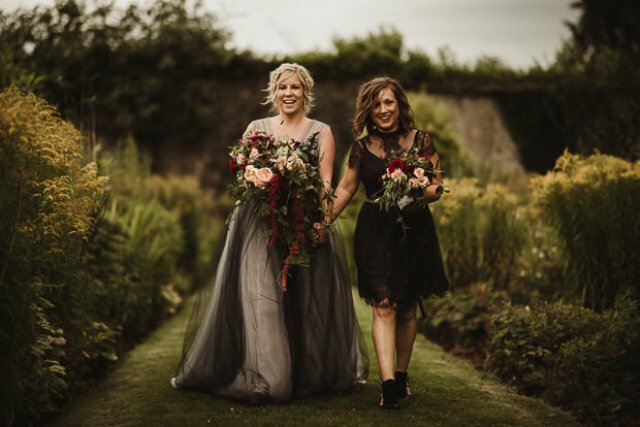 The bridesmaids were wearing elegant and refined mismatched black gowns. 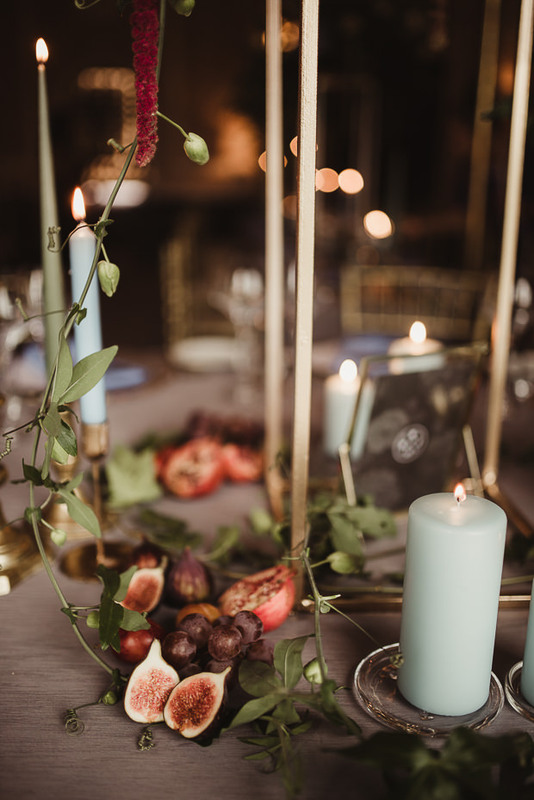 With extreme attention to detail, the couple created a stylish celebration that’s equal parts lavish and laid-back. 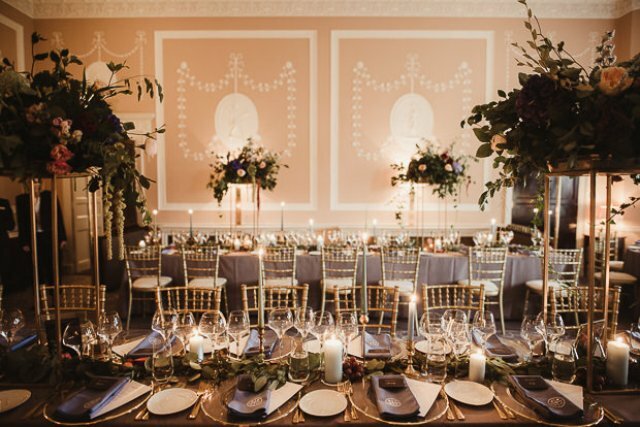 With dark, romantic style, luxurious florals, and exquisite stationery, this wedding became one-of-a-kind. 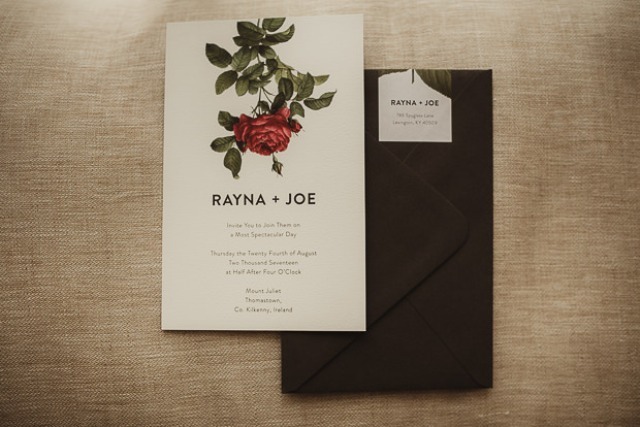 Starting from wedding stationery, there were black envelopes and beautiful invitations with roses that hinted on dark romance. 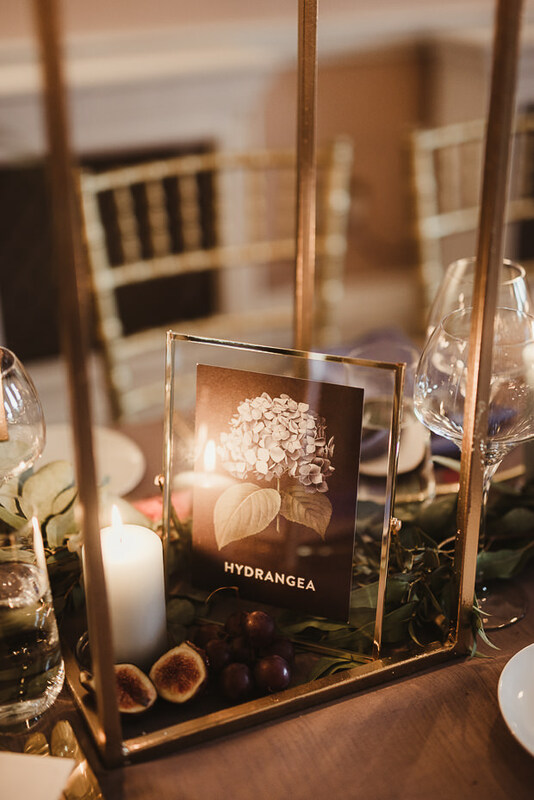 For their reception, the Rayna & Joe already had a beautiful setting to work with, but the added height of the floral centerpieces really added to the opulence of the space. Fresh fruit decor makes such a stylish alternative to flowers, for a fine art feel. The tables were named after various flowers. 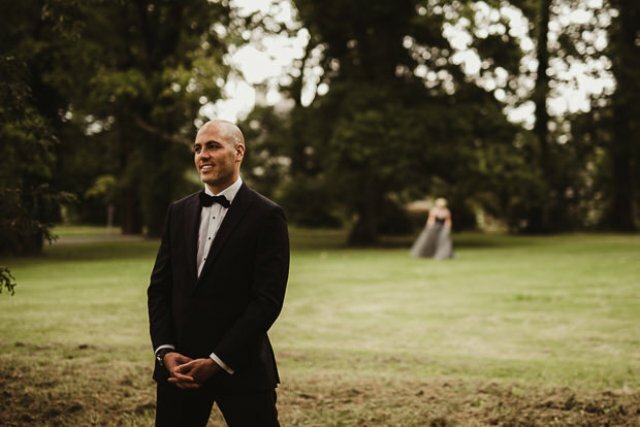 The couple DIYed a lot of things for the wedding, from the custom imprinted welcome bags and monogrammed cloth napkins to hangover recovery kits. The guys had a fabulous garden party set-up for their cocktail hour. 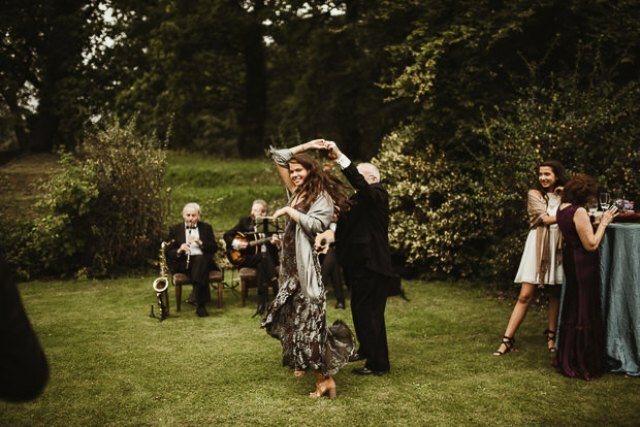 Cotton Club Quartet serenaded the guests and got some dancing on the lawn! 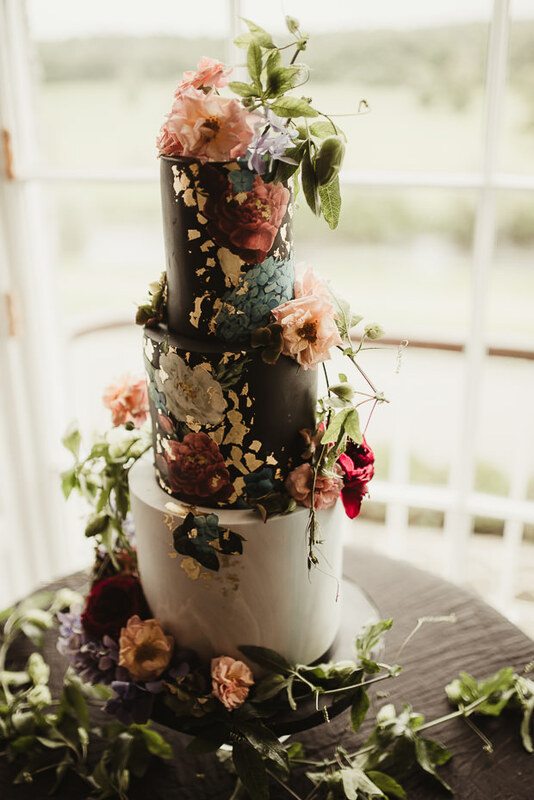 The wedding cake was a spectacular black and white confectionery piece, with gold leaf, hand painted flowers and some blooms on top.